The SPI Programme: Gaining competitive advantage through adopting a “triple bottom line” approach. The concept of the “triple bottom line” is that maximising business performance not only depends on profit but also by the impact the business’s activities has on society as a whole. The Ayrshire Community Trust has adopted a proactive approach to environmental management through a focus on resource efficiency as part of its business model. 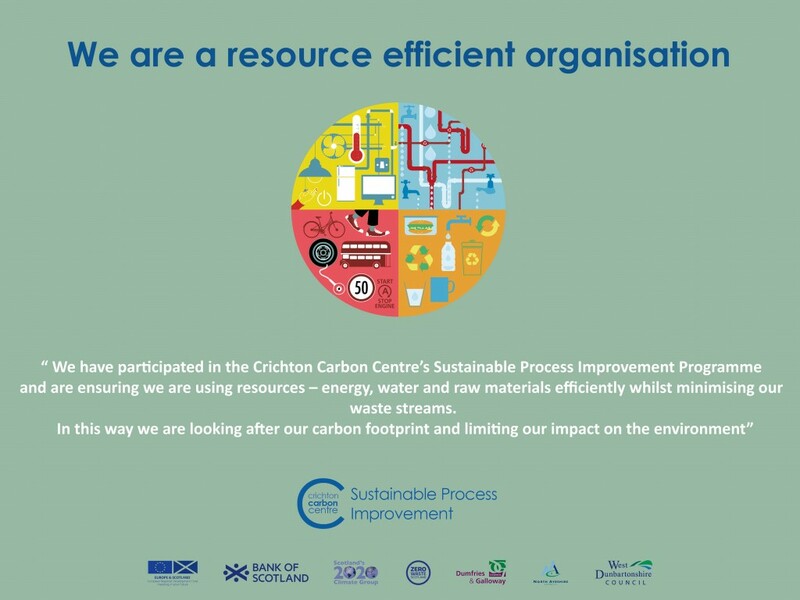 For further information, you can visit the Crichton Carbon Centre by clicking on their logo above.